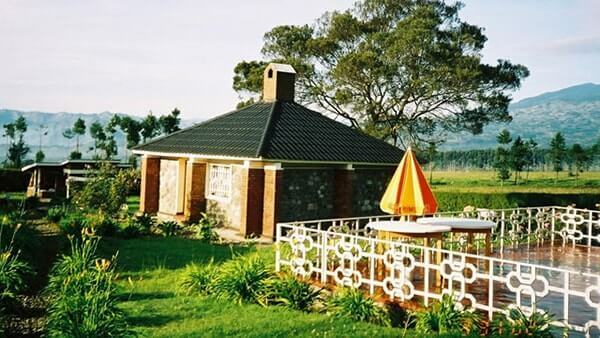 Kinigi Guest House is also situated in Kinigi district just 11 Km drive from Ruhengeri City. It is built at the lowermost of Sabyinyo volcanic mountain with an altitude of 4,480 m. It lodges over 40 people-all rooms have electricity and warm water. There are 4 VIP suites alongside with an ideal hall with 400 seat sizes, for sessions, meetings, weddings and other communal functions.